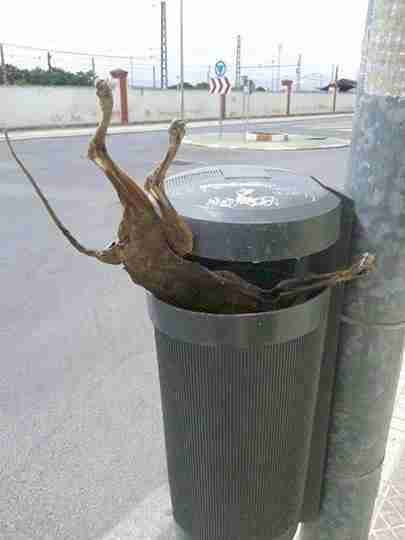 If you are visiting Spain and you truly love dogs, you will want to add trash cans and dumpsters to your sightseeing plans. 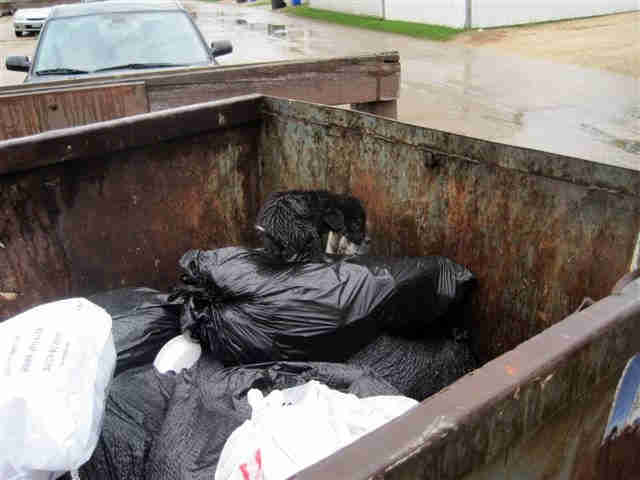 You will also need a list of the local dog rescue groups, because it is possible you will find a still-living dog in one of those trash bins. Fortunately for a dog found alive in the trash, legs and mouth bound, there are people like you - willing to take the time to look. Willing to have the strength to see. The tenacity to keep looking, keep seeing, keep lifting the devastated from heaps of waste. There are times when the hound is already dead, as in the photo below. As if that makes the scene somehow palatable. 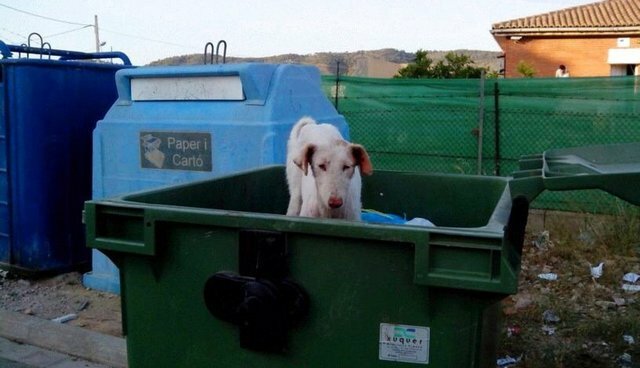 But often, someone working - volunteering - in a Spanish charity shares a photo of a dog she had just found whimpering or barely breathing in someone's garbage. 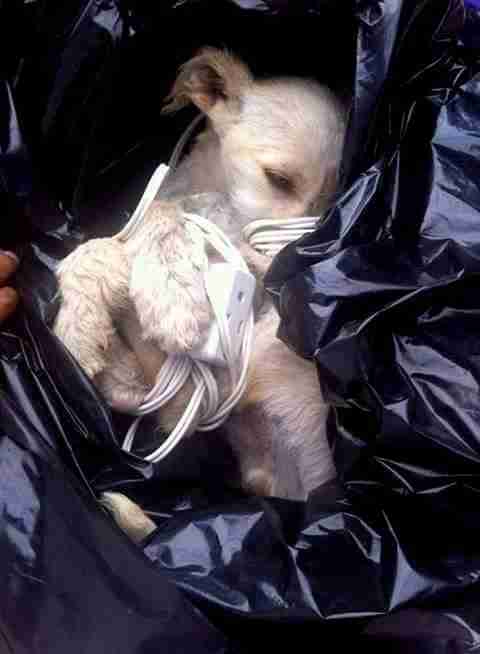 Sometimes the dog will survive, and find a loving home, possibly in another country. This series of articles, when it began, was entitled "Saving the Podencos. "* How quickly it became clear that, while I work to save them, much of that work lies, sadly but necessarily, in describing to those who had no idea, but who certainly would want to know, the terrible torment that podencos suffer every day. Knowledge, as they say, is power. Here is some power. What can you, dear reader, do with it? Heaven is overcrowded with the forced angels of Spain. Become a guardian angel for the podencos and help them live. Email us at welcometothesea@comcast.net or hound_sanctuary@yahoo.com to start working on your wings. *Our mission of Saving the Podencos is not exclusive. 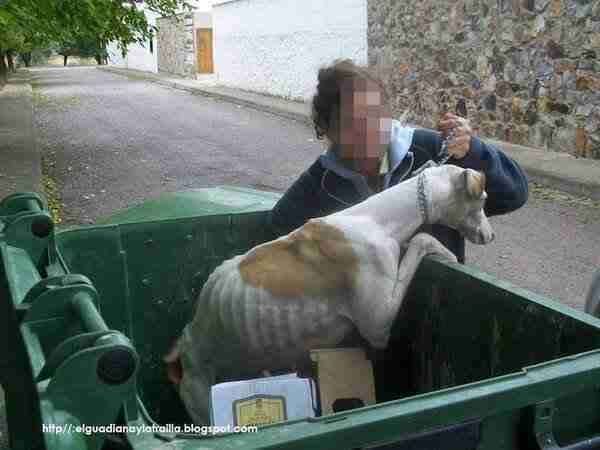 We seek to save podencos, galgos, and, as implied in these photos, any other tormented creature.